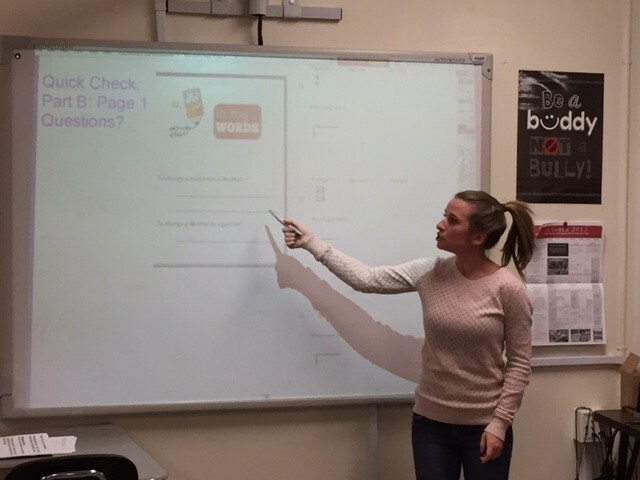 In this edition we introduce you to WCMS Technology Quick Classes, share a great resource for bringing BYOD into your classroom, provide the 411 on Piktochart, and highlight a few of the many fabulous things that are happening around our building. We hope that you'll take the time to check everything out, and leave us some feedback on what you'd like to see in our next newsletter. Happy Holidays from the WCMS Tech Committee! 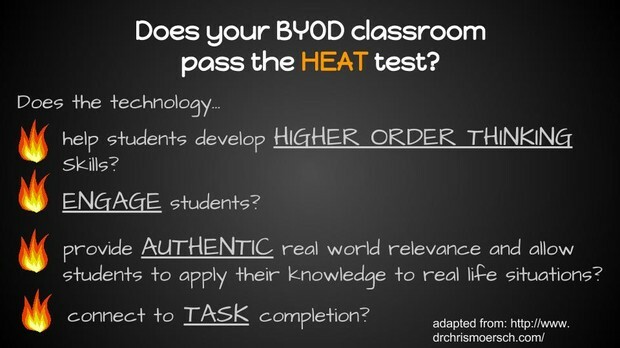 Need some BYOD ideas for your classroom? This technology taxonomy contains over 30 scenarios that show teachers a range of use of mobile devices in the classroom. The scenarios cover all grade levels and subject areas including language arts, mathematics, social studies, science, and the arts. This taxonomy will also be released as an app for both Andriod* and iOS* devices. Piktochart is one of the hottest free classroom tools available. Create visual masterpieces with your students and bring data to life! Check out this infographic about Piktochart and learn how easy it is to create your own! 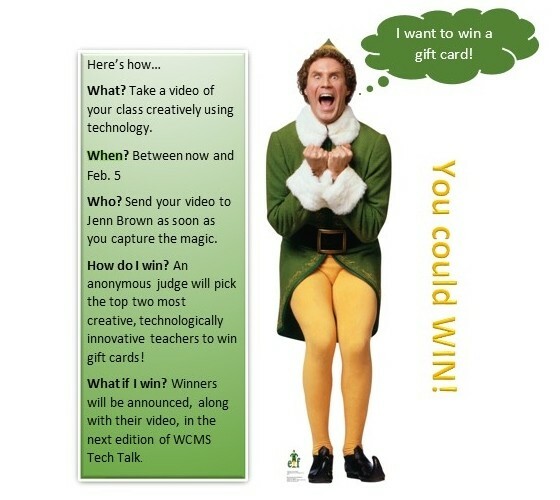 Introducing... WCMS Technology Quick Classes!! Join us in January for our first round of Technology Quick Classes that will be held on Tuesdays and Thursdays after school. Interested in how to use Socrative or Piktochart in the classroom, but not sure where to start? One thirty minute class is all you need to get started! Fill out the form and sign up! Have a great idea for another Quick Class? Share with us on this form! 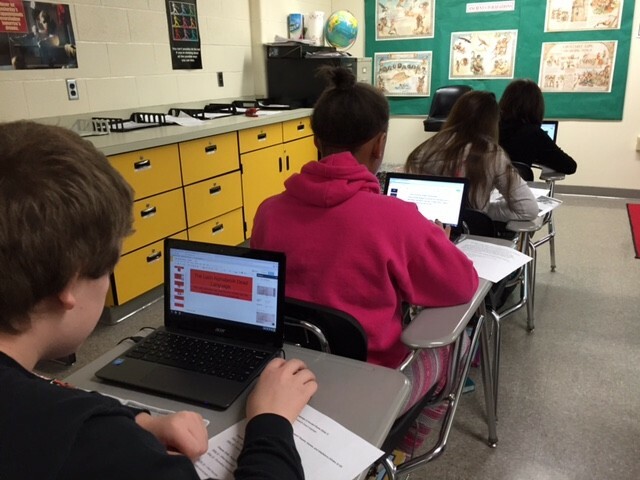 Lois Schooler and Sarah Goley do an excellent of incorporating Google Classroom into their lessons in a slightly different way than most teachers. In the past, Lois used Google Classroom for writing assignments and as a way to group students as a class period. This is how most teachers typically use Google Classroom. This year, instead of grouping students based on their class period, the students have been grouped based on their reading levels. Birdbrain is a science and reading website that WCMS science teachers use that assesses student reading abilities using nonfiction excerpts and a series of questions similar to a DRA assessment. Once the students are grouped, they can be assigned reading level appropriate passages to work on. Google Classroom also allows Lois and Sarah to assign videos, upload homework copies, and create engaging classroom discussions based on other information that can be easily added to the site. This year, the 6th grade science ladies have been using Brainpop, Brainpop Jr., and Spanish Brainpop both as an in class activity as well as an activity featured on Google Classroom. Many students use the Brainpop app on their phone or tablet. Other apps such as the “Bill Nye” app can also be downloaded and used to go more in depth in science related topics via interactive videos and games. 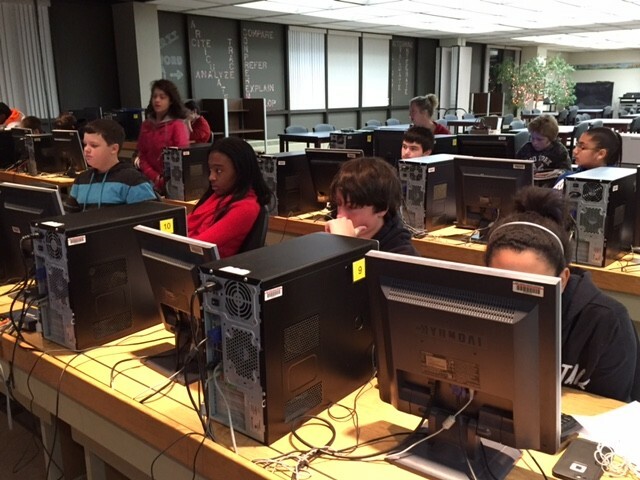 When looking ahead to future lessons, Lois and Sarah are hoping to incorporate Schoology into their classrooms as well as many of the countless apps and/or websites that allow for students to perform virtual labs. These kinds of apps provide a great way to save money on supplies as well as reduce clean up time or potential accidents as students can test and retest hypotheses over and over again in the controlled interactive environment of a computer or tablet.